While waiting for the plane to depart from NAIA. While waiting for our ride at Silay airport. I know I kinda looked like I was to go to UK, but I didn't really care. Hee. Sleepy me while waiting for my food at Bob's. Day 2 - Grandma's Bday! She just wanted a simple intimate birthday but it turned as a mini reunion for the Aguirres. My overly charming/smarter than a 5th grader cousin Zoe. Ate Analyn-our yaya since we were little- also came! Love the valenciana and callos. The Aguirres -- my grandfather's (who passed away last '98) siblings. Playing around with my lola's hat! Feeling haciendera-- Aylavet! Ain't they cute? My lola's BFF--Tita Benita. The party ended at around 5pm. I had time to take photos around our compound. And when our old pick-up can't take anymore, this is his hospital. 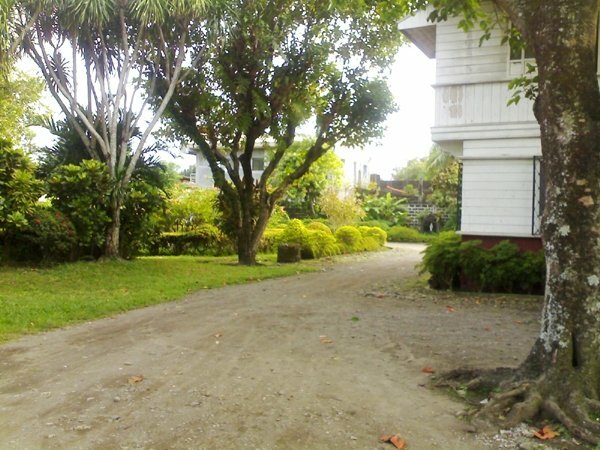 Our talyer inside the compound. And that charming old fella is Otik! Our car doctor for more than 30 years. :) When I saw him there, it felt just like yesterday when I last saw him. Also visited our great grandmother--she's 97 years old! I have a feeling she'll make it past 100. Just like my other lola (her sister) who died at the age of 105. Saw this huge lizard at the window! It's what we call tuko and it measures about 6 inches. Afraid! 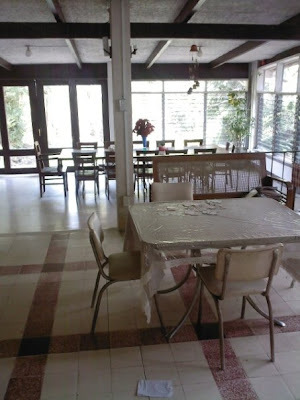 This is the main house inside our family compound. What we call "Dako na Balay" or "The Big House". 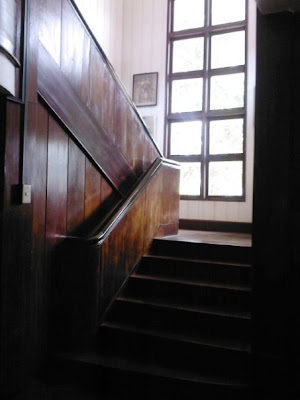 The house is more than a hundred years old, has 5 rooms, 4 dining areas and 2 salas.We only use it for parties now. Only my great grandmother lives there--at a room downstairs. We used to sleep here when we were kids during summer vacations--but then some supernatural /unexplainable things happened. And we never stayed there again. There are numerous guests who can attest to this. 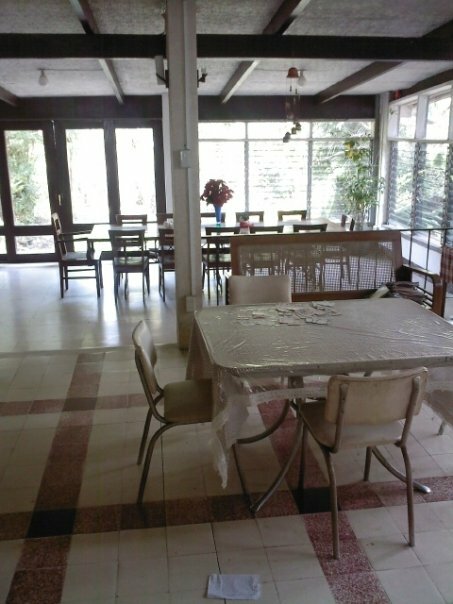 :) Last year, I took a photo of my sister at one of the dining area and when I reviewed the photos on our computer something weird appeared. Creepy. After visiting my great grandma, we continued taking photos outside. We used to have a secret spot at the back part where we play and just lie down and share stories. My favorite spot. The rock below the Macopa tree! Doing what I liked doing when I was a kid! This place really brings back a lot of memories. Wonderful, amazing ones. :) We might now be busy that we never find time to visit often, but I will always remember each summer I spent here. Really love the outfit and you've got astonishing photos! Btw, are you still interested about the hats? Thanks babe! double wow for the house. GRABE. parang sa mga old movies. namangha ako. yung flooring anggaling.